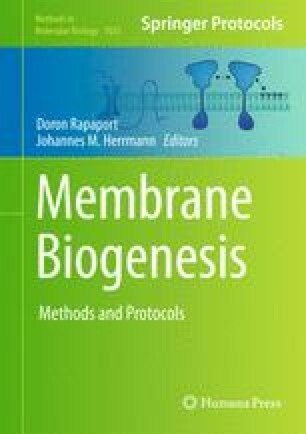 Optimizing the conditions for the overexpression of membrane proteins in E. coli and their subsequent purification is usually a laborious and time-consuming process. Combining the Lemo21(DE3) strain, which conveniently allows to identify the optimal expression intensity of a membrane protein using only one strain, and membrane proteins C-terminally fused to Green Fluorescent Protein (GFP) greatly facilitates the production of high-quality membrane protein material for functional and structural studies. Research in the laboratory of JWdG is supported by grants from the Swedish Research Council, the Carl Tryggers Stiftelse, the Marianne and Marcus Wallenberg Foundation, NIH grant 5R01GM081827-03, and the SSF supported Center for Biomembrane Research. David Drew acknowledges the support of the Royal Society (UK) through a University Research Fellowship and the Swedish Research Council.